You always pay a bit more for built in units so this really offers excellent value - an integrated combination machine for under £350! Well worth adding to your shortlist if this is the type of unit you are looking for. 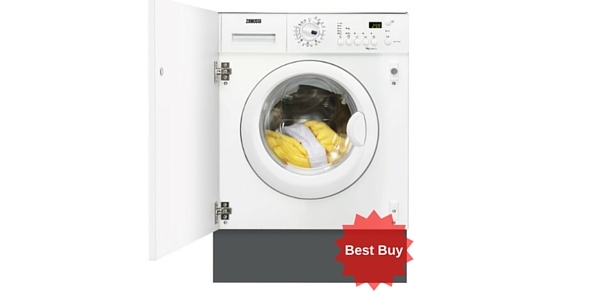 This great value built-in Indesit washer dryer has a 6kg drum and 5kg drying capacity. 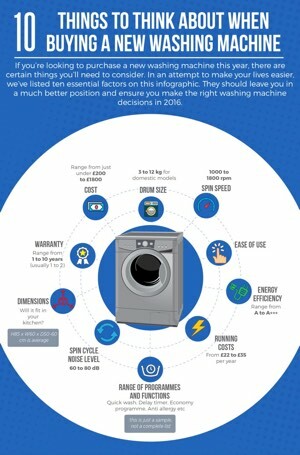 It has been rated B for energy efficiency which is fairly standard for washer dryers as they tend not to be the most energy efficient machines (see our buying guide here for more info). 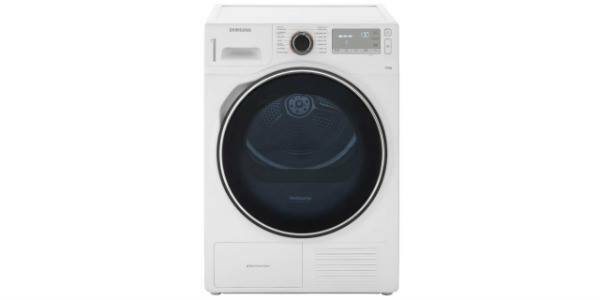 One of the attractions of this machine is the ‘Time for You’ programmes, giving you cycles of 50 mins, 40 mins and 30 mins; quicker washes than the average modern washing machine – handy if you have a busy lifestyle. 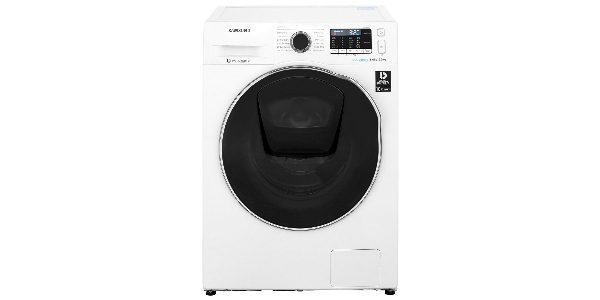 Another attractive feature of this washer dryer is the sports clothing facility, a programme for grimy sports clothes and another one for training shoes. This combo also features an easy iron option. Dimensions are height 82.0 x width 59.5 x depth 55.0. The drum spins at 1200 RPM and the machine has 16 different wash programmes. 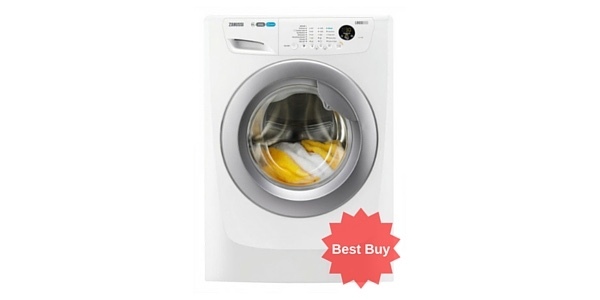 It has sensor drying, adjustable temperature and adjustable spin plus two drying temperatures. It has a delay timer that lasts 9 hours and a general noise level of 58dB. 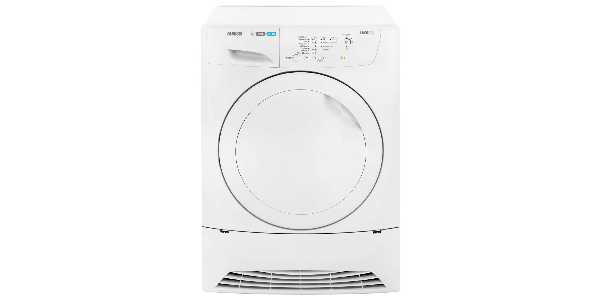 The Indesit IWDE126 retails at around £349 and comes with two years warranty. As a brief summary, customers said that the lack of digital display was annoying as they had no idea when the cycle would finish and couldn’t plan as easily. Others said the Indesit was a decent little washing machine but there were a few gripes about the dryer leaving clothes creased. This is generally caused by overloading the dryer (more info can be found here) or putting the timer on too high so should be avoidable. 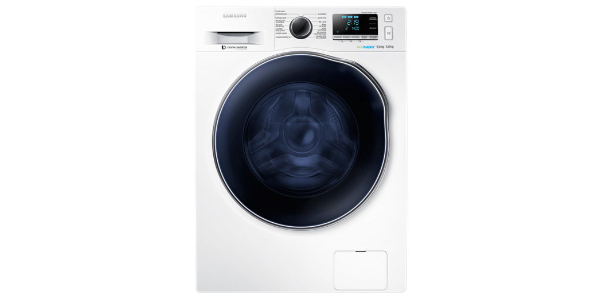 The sensor drying feature will turn off the machine when the moisture has gone and your clothes are dry. On the whole customers said the machine was well made and looked good. The general noise level in dB is also good and at a competitive level. 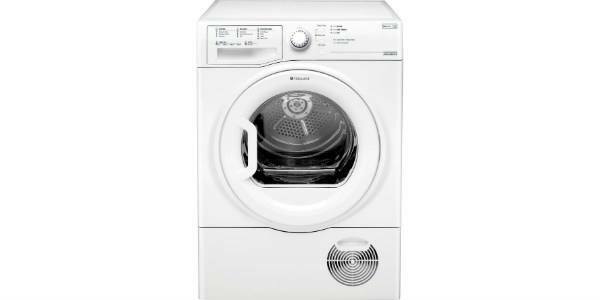 Buyers also said that the Indesit IWDE126 was very good value for money, easily plumbed in and set up and easy to use. Below is a customer video showing the machine installed in their house. No voiceover unfortunately but it gives you a good idea of what the unit looks like. To check availability and the latest price just click the AO.com banner below the video player. 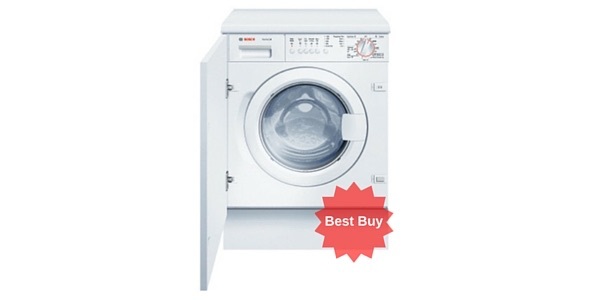 I wanted a built-in washing machine and decided to go for a cheaper one [why pay for the badge, right?]. 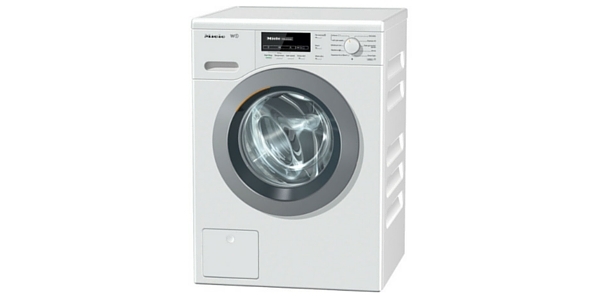 This model seemed tick all the boxes: it had good reviews, a timer and a dryer (handy to have for bedsheets etc). Having used it for a while, the wash works well and has a good range of options for time etc. 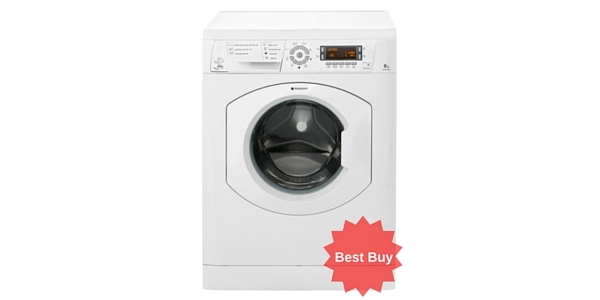 The dryer isn’t fantastic but you can’t expect too much from a washer/dryer combination. 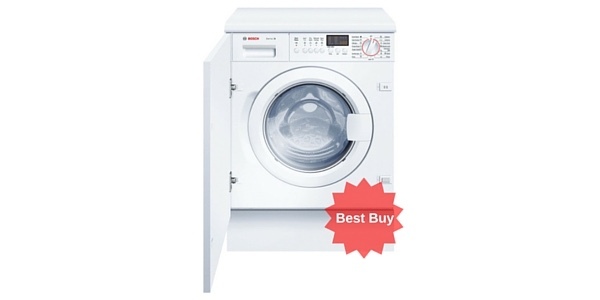 I didn’t expect a machine at this price to last 10 years but I thought I might get 4-5 out of it, so I was quite annoyed when it gave up spinning after just 13 months (of fairly light use in my 2-person household). These things happen though I thought, with all those mechanical parts to jam with coins and water flying about. Turns out it’s not anything to do with mechanics or water, the main circuit board has failed and this simple replacement part is outrageously priced; I could buy a smartphone for the cost of their printed circuit board (just over 1/3 the price of the machine), plus just to rub it in indesit charge a cheeky £24+vat on top for the program data! Didn’t I basically pay for the program data already when I bought the machine? I used a local appliance mechanic after reading the awful reviews of “indesit-service” and he told me as well as the PCB one of the shock absorbers is also defective, which doesn’t really bode well for the rest of the machine (and explains why it’s always made a bit of a knocking sound on the spin)… this machine hasn’t done more than 100 washes and 15 dry cycles. Indesit doesn’t want to know unless I pay £110 for their man to come out an have a look. When you’re comparing prices make sure you factor in the cost of 5 years of extended warranty with this one (another £300 where I bought it from). It might not add up to a Miele but you could do yourself a favour and get an AEG or Bosch like I’m about to do. model. The dryer is totally useless because after setting the programme the drum cannot be accessed to check the laundry until the programme has run it’s course.